Carneghi-Nakasako & Associates is a premier commercial real estate appraisal firm serving Silicon Valley. From straight-forward to complex valuation scenarios and property types, the professionals at Carneghi-Nakasako & Associates consistently provide credible and timely results to our clients. Carneghi-Nakasako & Associates appraisals are regularly used by our clients in a wide variety of capacities and for making critical decisions regarding commercial real estate. Carneghi-Nakasako & Associates staff members specialize in providing litigation support services and expert witness testimony for our clients involved in legal disputes. Carneghi-Nakasako & Associates appraisers frequently participate in various forms of arbitration proceedings and mediation processes. The professionals at Carneghi-Nakasako & Associates are available to consult with our clients on a diverse selection of real estate related topics, questions and issues. 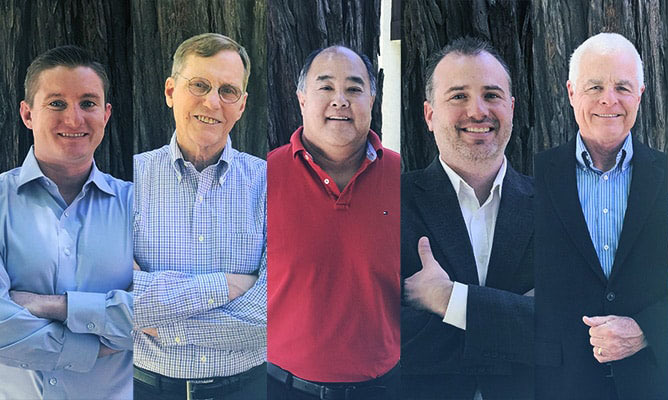 Carneghi-Nakasako & Associates is a premier Commercial Real Estate Appraisal Company serving the San Francisco Bay Area with a focus on Silicon Valley and San Jose. We are based in San Jose California. Our appraisers have decades of combined experience and expertise in nearly every local market and property type in the greater San Francisco Bay Area. We serve the broader Silicon Valley area including Santa Clara County, San Mateo County, Alameda County and Santa Cruz County. Other area served include: Monterey County, San Benito County, Contra Costa County, San Francisco County, Marin County, Sonoma County, Napa County and Solano County.